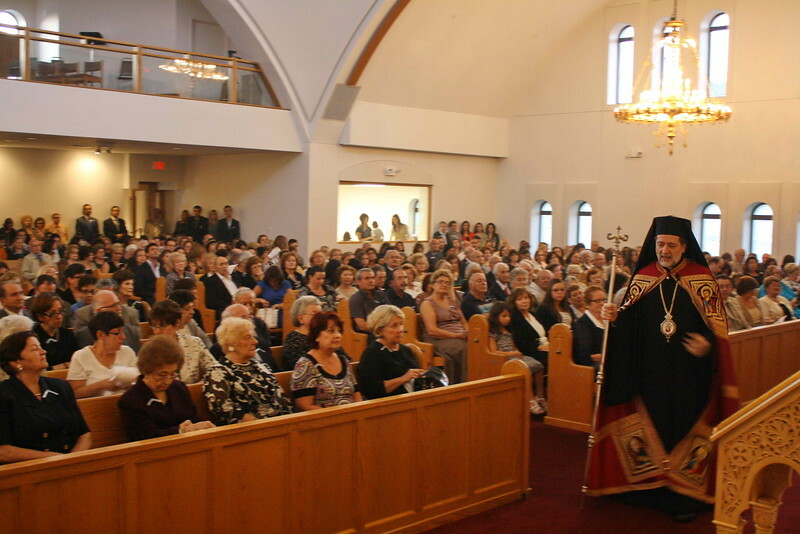 On August 14, 2012, Metropolitan Nicholas celebrated the Great Vespers for the Feast of the Dormition of Theotokos at the Assumption Church in St. Clair Shores, MI. His Eminence was welcomed by the community led by Fr. Michael Varlamos (Proistamenos). Also present were clergy from the Metro Detroit Area including: Fr. Bill Bartz (Chancellor), Fr. Dean Hountalas (Vicar General), Fr. Philemon Karamanos, Fr. Stratton Dorozenski, Fr. John Moutafis, Fr. Tom Michalos, Fr. Teodor Petrutiu and Fr. Jim Barents (visiting).